Finished this painting last night and worked a little bit on adding different filters to see how it changes the mood of the painting. Take a look at the 4 photos below and see which one you speaks to you. 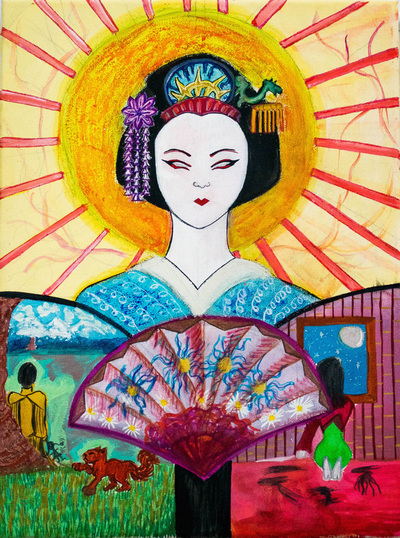 This painting was inspired after reading Geisha of Gion by Mineko Iwasaki and watching documentaries on the life of a geisha. Such an ancient tradition of beauty and artistic craft, one I hope never dies.